ShaneCycles.com – Shane Cycles the Freedom Challenge? Shane Cycles the Freedom Challenge? The Race Across South Africa takes place in June/July each year. It is a 2300 km ( with a total cumulative ascent is over 37000 metres), non-stop, self-navigated mountain bike race starting in Pietermaritzburg KwaZulu-Natal and ending in Wellington near Cape Town. Riders are allowed a maximum of 26 days to complete the ride. For years my trips got longer and slower, my favourite of course my 12 month and 11000km ride from Cape town to Nairobi. I’ve never understood the need to “race” and enjoy and often “need” a rest day or two after 4 days in the saddle. I’ve generally chosen a half day off or rest day/week/month when the going gets tough above pushing myself to meet someone else’s deadline. But, the Freedom Challenge (FC) -Race across South Africa (RASA) has been gnawing at my anti racing vs touring principles since I first heard about in 2011. 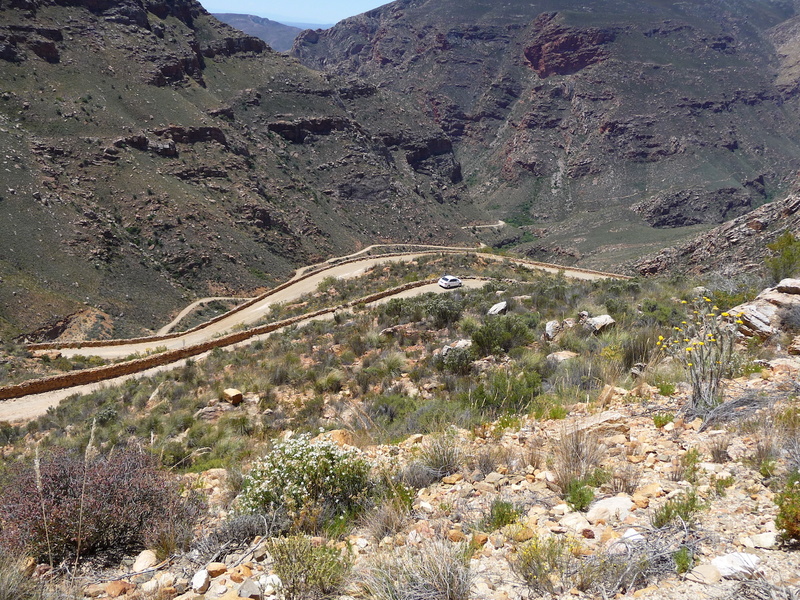 Whilst being hosted by Johann in the sunny (and windy) Karoo I heard about the FC for the first time. Johann is a long time supporter, volunteer and at the time wannabe Blanket wearer, later in 2015 becoming a blanket wearer himself. The route at the time for me was unthinkable(and still is almost impossible to comprehend that humans can cycle so far, so fast). 99+% off road, mainly trails and with many long portages (carrying your bike up big hills) all impossible with the 30kg of baggage I was carrying at the time. 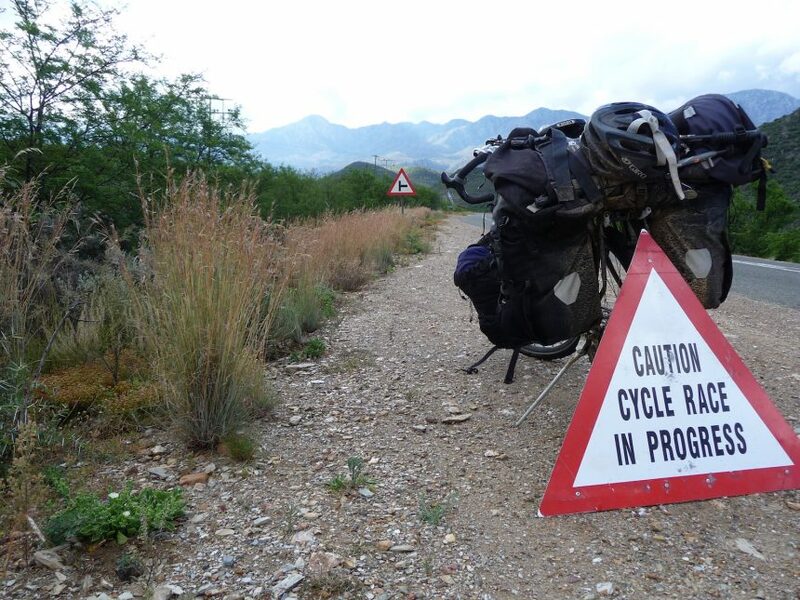 But the thought of being allowed to cycle through normally inaccessible national parks, private game reserves and many of the beauty spots of South Africa certainly had its appeal. 2010 Freedom Challenge RASA from Andrew King on Vimeo. 18 months later my Africa trip was done as well as other adventures, my trips where getting shorter and more challenging and I was a semi dot watcher for the first time that June. Making excuses not to be part of this interesting twitter community. I was fuelled more by Johanns enthusiasm than my own real interest. I didn’t even own a mtb and had no plans or interest in buying one. That Winter I carried on with business as usual with a Winter trip to Canada followed by some fun Brompton trips. Dot watchers: Folks addicted to pressing refresh on the FC site during the race, watching the personal tracker dots as they slowly creep across the map of South Africa. This largely anonymous group is made up of random people interested in the cycling/mtb/adventure racing or the FC. Many are people living gregariously through the race, or wannabe blanket wearers, blanket wearers or hosts. The blanket wearers often giving live twitter commentary about wrong turns, better routes or naming people Picasso . Picasso’s : Riders loosing the trail and creating pictures with their tracker as they wonder lost around the various woods and valleys before finding their way back to the planned route or giving up and sleeping in the woods for the night. Hosts: “25 support stations which also serve as compulsory check points” these support stations include hotels, farms and local schools/huts. These, together with a 2L box which you are allowed to sent to each station is the only support the race provides (outside of emergencies). The hosts seem to be an amazing group of people. Come on, you have to be a special kind of crazy to let a tired, muddy, grumpy, cold cyclist into your home or business knowing they will only eat/shower/sleep/eat/leave mud on your kitchen floor then leave again. Prize money: The course record is 10d16h40m and the max cut off is 26 days. One of the many things that interests me in the FC is that the prize is the same for all finishers within the 26 day deadline…..a blanket. The blanket: The blanket has its history in Basutu culture as the reward for successful completion of the right of passage to adulthood. A fitting reward for any nutter that lives to tell the tale of their Freedom challenge. The riders : a bunch of crazies that take a month (or less) off work to try and win/earn a blanket. Riders come in 3 categories of nutter. Tour/ride/race. “Tourers” are happy to survive the 3000m climb of day one and the 25 days/ 34000m of climbing after that…an amazing feat of human endurance. “Riders” are often people that have done the FC before and plan to improve their time, course experience obviously take away many navigation and logistic issues (NO GPS is allowed in the FC btw, another reason to love this old school adventure race). The “race” category (referred to as the Racing snakes) are just a special class of nutters with some kind of super human powers that enable them to survive on 4 hrs sleep a day and cycle 200km a day off road. These folks finish the race in 11-15 days…. just bonkers. I suspect they’re aliens. The blanket wearer: That quiet reserved bread of slightly twisted cyclists that know’s what it is to finish the FC, and like any hostage now have a dose of Stockholm syndrome and will say it wasn’t that bad but they will never return. (All can mention any number of things they can do better next time to reduce their time while in the same sentence saying they’ll never do it again….). During 2014 I’d developed an interest in Bikepacking and had several trip ideas that would require mainly off road riding and a new more mtb type bike. (read that story here>> http://www.shanecycles.com/dragons-bicycles-and-life/). 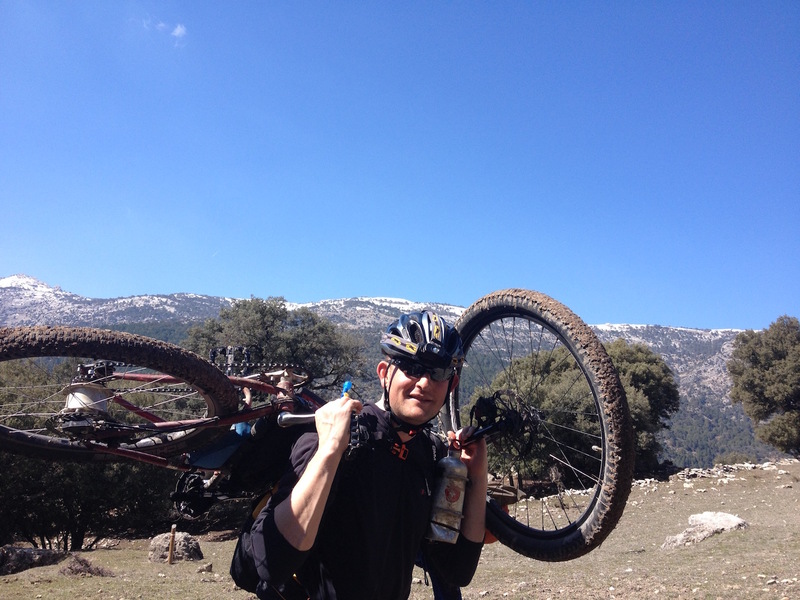 By June 2015 I’d cycled a chunk of the Transandalucia mtb route and liked the flexibility of a light load and a nimble bike, and also started experimenting with pushing a little hard than I usually do with my first RideEatSleep weekend. As icing on the cake Johann took part in the 2015 RASA meaning I became a totally addicted fully fledged dot watcher eager to follow his journey, spending most of my spare time stalking Twitter and the dots map….. Luckily I was able to come up with a dozen excuses not to register for 2016. But said if I was able to loose my extra kilo’s and get under 80kg by New year I’d seriously think about. New year came and I was 80.3kg….pheewww safe. Sadly my new fancy LCHF lifestyle meant another 4-5kg fell of in the next month, I had more energy and blasted through another couple of tough off road trips and started training for a half marathon. I also no longer thought it strange to carry my bike for kilometers on my back, a bad bad sign for the future. Fast forward to this week, a month after the 2016 round of dot watching……I woke with a hangover and saw I’d saved a screen shot on my computer. Time to forget the excuses and be part of this amazing community of adventurers, supporters and followers that make it possible. 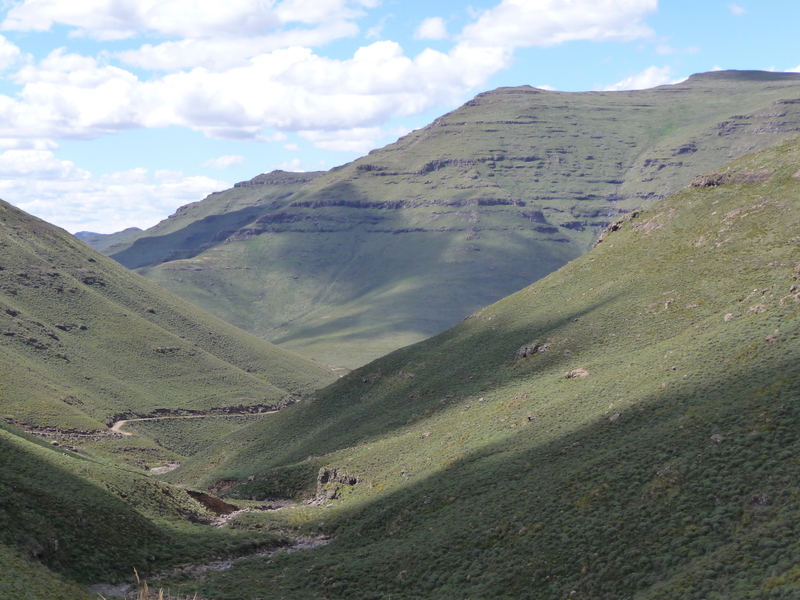 Who wouldn’t want to cycle 2300km through the South African mountains in winter. Unlike most wannabe blanket wearers that will stand under the clock of town hall in Pietermaritzburg at 6am on a cold Winters’ morning 10 months from now. This is not a big dream for me, more a natural and logical part of my 2 wheeled evolution :). I’ve often said that one day I’d return to the continent that has touched my soul deeper than any other and helped make me the man I am today. And now just the business of getting enough time off work and 10 months of training enough plus re-learning to use a map and compass to be able to cycle/hike 2300km of the RASA in 25d23h59m. Shane, looking forward to changing places with you and becoming a dot watcher. Now Shane you are a man with the same cycling evolution as me. Just not made the commitment to do it. Enjoy the prep. It is as good as the race. I am entered (preparing and pretty damn nervous for RASA 2017 ) live in Hillcrest, KZN , SA , between Durban and PMB , if you need any local assistance or logistics help to get you to the start l will gladly help, feel free to contact me , …..
Hi Shane, great to read your trials and tribulations along the FC. I am a fellow blanket wearer and live in West Africa. Lagos Nigeria to be more specific. If you do ever get the urge to travel west on your African experience, know that you always have a place to stay in Lagos. I 100% get your desensitisation issues you experienced in Africa, you made the right call, West Africa is a different kettle of fish. Johann Rissik too stood at the side of the road in PA when I did a training ride for FC his coffee is certainly up there. Look forward to meeting you along the way in some distant place.